In an effort to help prevent obesity and chronic disease - and through the generosity of Kohl's - Blythedale's Eat Well, Be Well nutrition program educates children and low-income individuals through classroom instruction, community events and collaborative endeavors with food pantries. Blythedale Children's Hospital, through the generosity of Kohl’s Department Stores, is proud to offer Eat Well, Be Well, an innovative outreach program designed to bring health and nutrition education to schools and low-income families throughout Westchester County. Since its inception in 2006, the program has reached more than 100,000 students in the greater metropolitan region. Through this program, Blythedale staff members teach healthy eating habits to children by providing curricula, training and educational tools to school districts throughout the area. The program provides general nutrition guidelines to students, parents and school faculty, as well as sharing important information at community events and at local food pantries. Kohl's has donated more than $2.8 million to Blythedale Children's Hospital since 2000. Our current program strives to help prevent obesity and chronic disease in low income families by improving knowledge, attitudes, skills and behaviors through community workshops, events and classroom visits, as well as collaboration with local food pantries to promote chronic disease prevention and food security. Click here for Eat Well, Be Well Lesson Plans and Parent Handouts. The Wellness Trends of 2019: Are You On Board? Click here to visit our newsroom and see a full listing of nutrition articles. The program is coordinated by a registered dietitian who plans and promotes program activities; develops nutrition and wellness programming content; provides classroom instruction; attends health fairs and events; and networks and collaborates with community organizations. 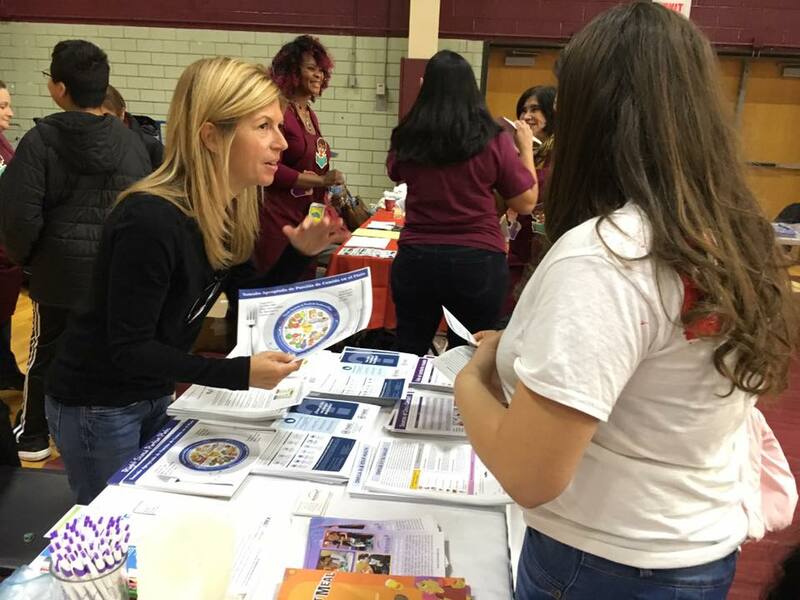 In addition, the program utilizes the services of a certified holistic healer, who provides instruction to students and community members in different stress management modalities and the science behind why stress management is a key component to well-being via classroom visits and community events. Chew on this...Is your child a picky eater? Does your child's eating, or lack there of, worry you? When do you seek professional help? Blythedale Children's Hospital and Kohl's Eat Well, Be Well community outreach program have some helpful tips to keep your child's tastebuds on track. Children have the natural ability to chow down and with their parents' help, can develop a healthy relationship with food. Hungry for more tips? Check out Blythedale Children's Hospital and Kohl's Eat Well, Be Well community outreach program. Chew on this..Could Energy Drinks Be Health Hazards? Energy drinks promise of a quick pick-me-up, but possible side effects may have you thinking twice. Blythedale Children's Hospital and Kohl's Eat Well, Be Well community outreach program have more on this rising public health risk issue. Gentle and consistent reminders, like nudges, help highlight a healthy lifestyle.